Sapphire award, best SF Romance, short form. The Trouble with Heroes in Irresistible Forces. Mary Josephine Dunn was born 22 September 1947 in Lancashire, England, UK. At the age of eleven she went to an all-girls boarding school, Layton Hill Convent, Blackpool. At sixteen, she wrote her first romance, with a medieval setting, completed in installments in an exercise book. 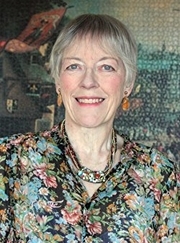 From 1966 to 1970, she obtained a degree in English history from Keele University in Staffordshire, where she met her future husband, Ken Beverley. After graduation, they married on June 24, 1971. She quickly attained a position as a youth employment officer until 1976, working first in Newcastle-under-Lyme, Staffordshire, and then in West Bridgford, Nottinghamshire. In 1976, her scientist husband was invited to do post-doctoral research at Dalhousie University in Halifax, Nova Scotia, Canada. When her professional qualifications proved not to be usable in the Canadian labour market, and she grew up their two sons and started to write her first romances. Jo has now moved back to England and lives in Yorkshire. Jo Beverley is a LibraryThing Author, an author who lists their personal library on LibraryThing. Jo Beverley's book Jane Austen Made Me Do It was available from LibraryThing Member Giveaway. Jo Beverley is currently considered a "single author." If one or more works are by a distinct, homonymous authors, go ahead and split the author. Jo Beverley is composed of 8 names. You can examine and separate out names.